Winter has been annoying. Part of the reason has to do with the piles of snow and ice that have turned to mud. The horses have been kind enough to churn that up, making the corral an unholy mess. To make matters worse, the snow has dammed up in the back, causing mud where Sid and the ducks are. So I have a messy llama and messy ducks. No matter how much hay or straw I put down, it ends up mud. Lovely. The chickens haven't quite gone on strike, but the egg output is still marginal. I get about 2 dozen a week instead of 5-7 dozen I should get with this many hens. You figure I have about 20 hens and they should be putting out an average of 4 to 5 eggs a week. That's 80 to 100 eggs, which sadly, they aren't doing the math right now. So, I'm worming the main group right now so that when they go into production, I'll have that over with and won't have to throw out the eggs when they ramp up. My latest acquisitions are dairy goats. These are two doelings of about 7 months old. They're sisters. We got them from a friend who had goats. 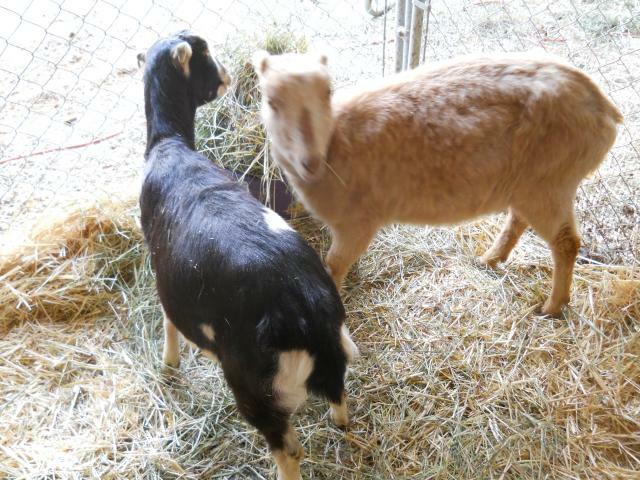 These silly little girls are called LaMancha goats. 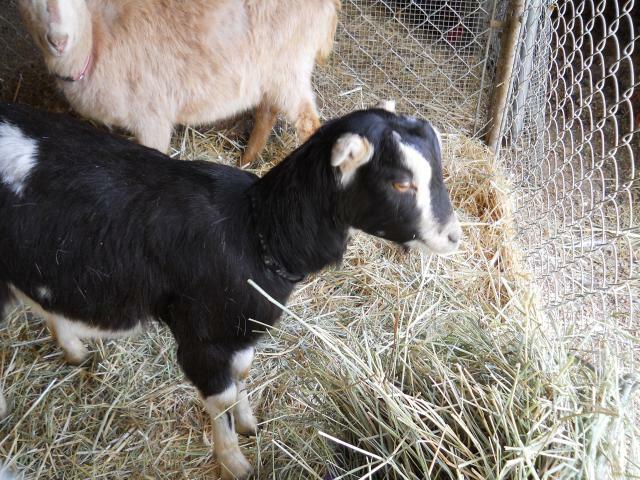 They're a type of Spanish Alpine goat that came to the US by way of Mexico. We named the black one Belle and the Wheaten one Heidi. When they're old enough we'll breed them for milk and kids to either sell or butcher. It's amazing how personable these little girls are. They're friendly and sweet -- Belle gives me kisses all the time. When we got them, the horses freaked out. Now, Scarlet the mare has fallen in love with them. She loves watching them and they seem to have a calming influence on her. 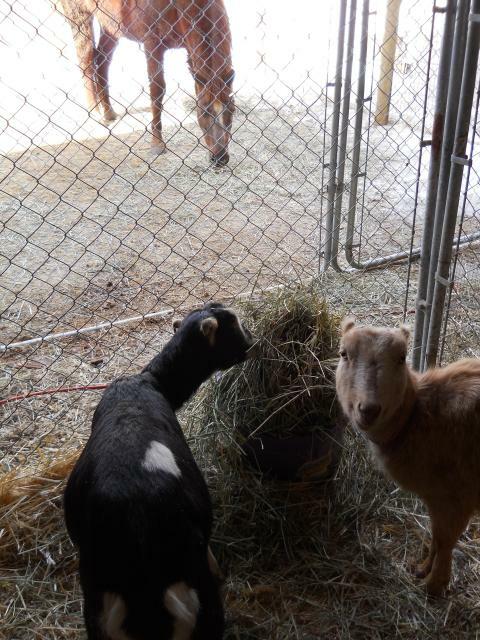 I'm glad because I'd love to have the goats in the horses' pen so that they can get exercise and socialize with them. The barn is for the night and not a 24/7 place for the goats. I've been reading how versatile goats are. You can housetrain them like a dog, you can teach them to carry a pack on trails, and you can bring them to hospitals for therapy. 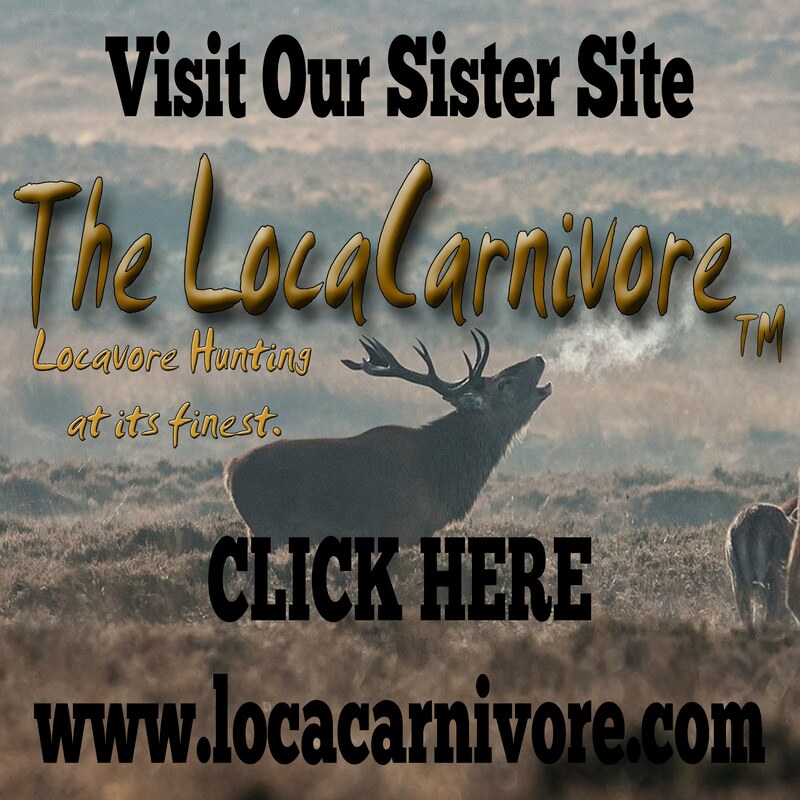 They provide milk, meat and kids, and are very green when compared to a cow. 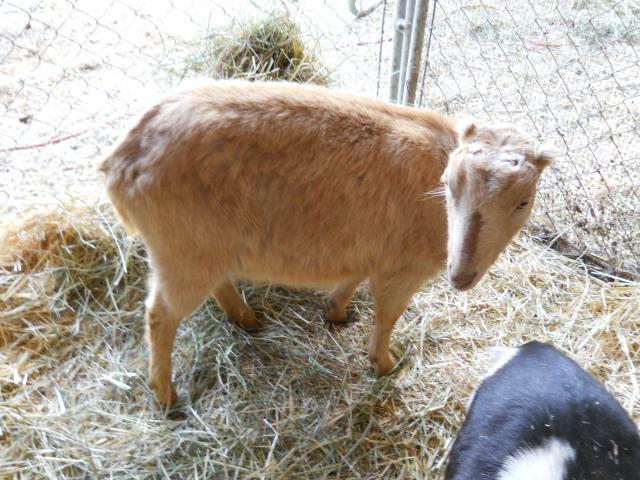 One goat will produce 1 to 2 gallons of milk a day. That's amazing! The tough part about goats is that they're clever and escape artists. I've put them in my barn in a pen so that they can get used to living here. Eventually, they'll be on weed patrol, which will take care of the knapweed and other weeds without chemicals.